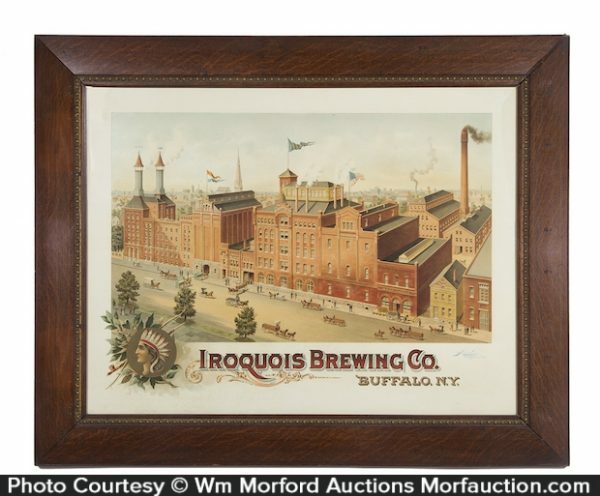 Large and impressive paper litho sign for Iroquois Brewing Co. (Buffalo, NY), featuring beautiful color graphic image of Co.’s early factory building. 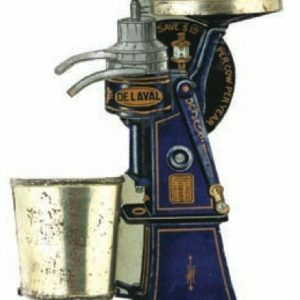 SKU: 89-150. 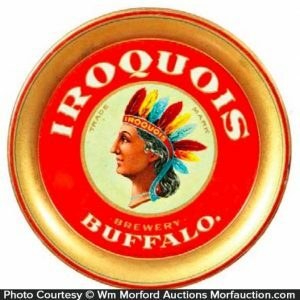 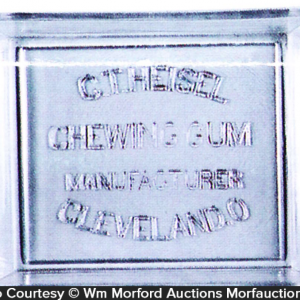 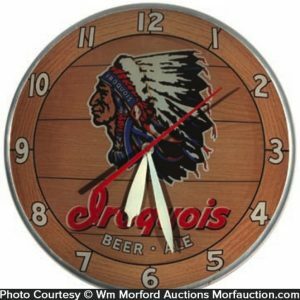 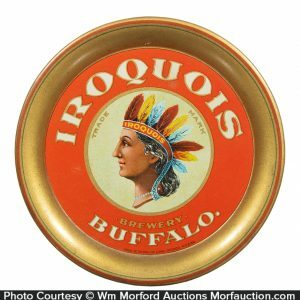 Categories: Antique Beer, Antique Beer Signs, Antique Signs, Vintage Beer Signs. 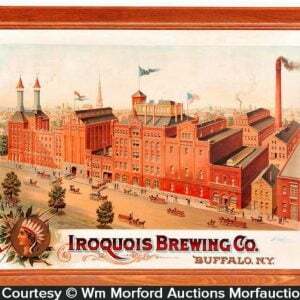 Company/Brand: Iroquois Brewing Co..
Iroquois Brewing Co. Sign: Large and impressive paper litho sign for Iroquois Brewing Co. (Buffalo, NY), featuring beautiful color graphic image of Co.’s early factory building. Clean and excellent overall (basically displays as a C. 8.5) although professional conservator has added back missing paper to upper left corner background area). 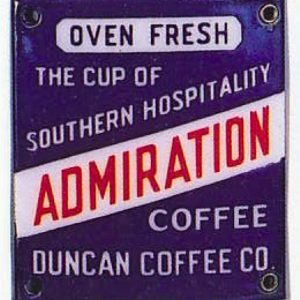 In beautiful period frame.